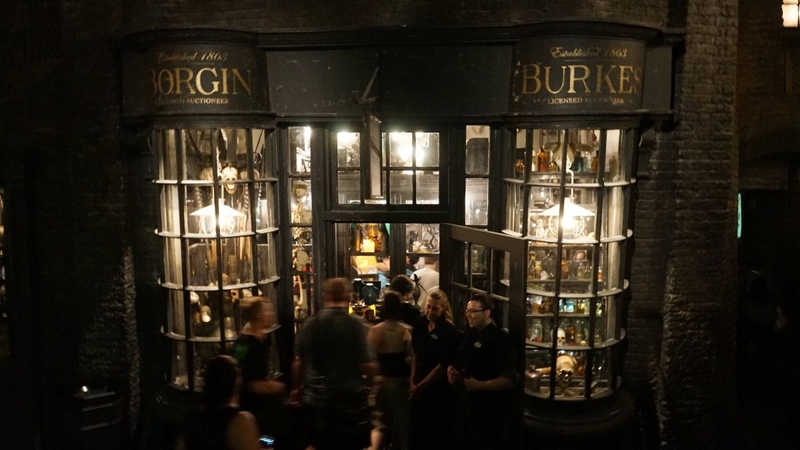 The seedy corner of the wizarding world where the followers of the Dark Arts go shopping, Knockturn Alley functions less as a shopping center, like all the other avenues in Diagon Alley, and more as a walk-through attraction. 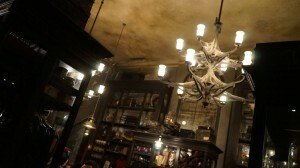 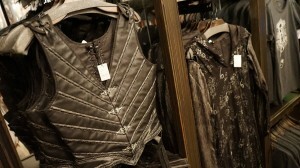 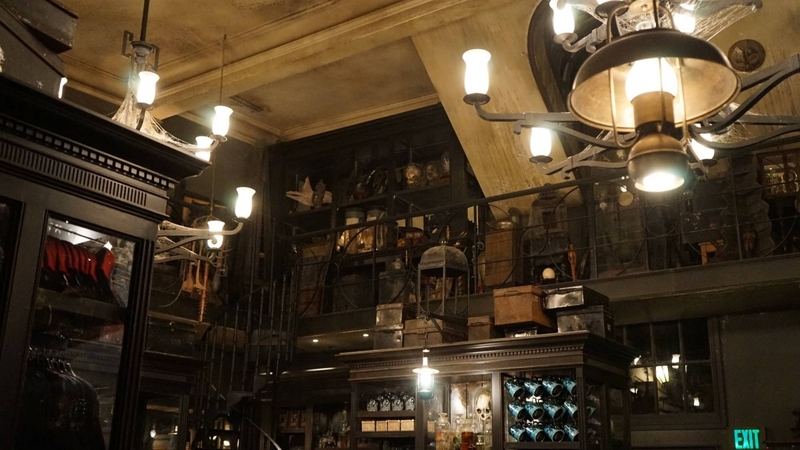 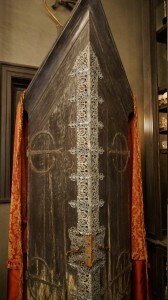 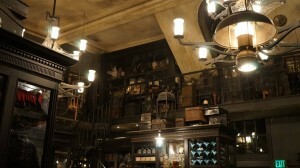 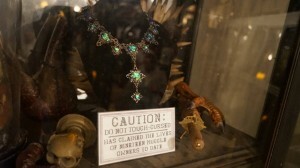 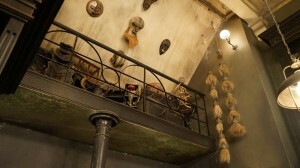 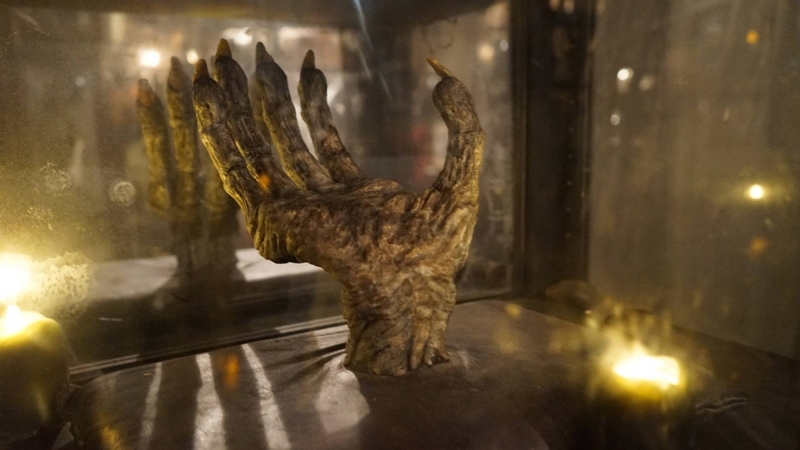 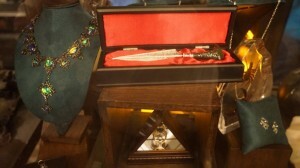 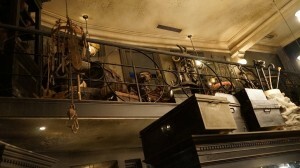 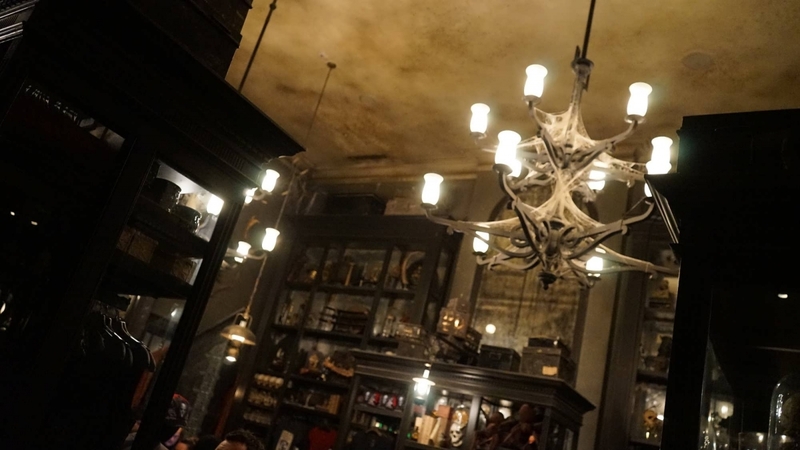 It’s not to be missed, though: from the expansive Borgin and Burkes to the myriad interactive wand locations to the area’s ceiling, which ensures it’s perpetually dark and foreboding, Knockturn is sure to be one of the most popular sections of the new Wizarding World — and easily the most crowded. 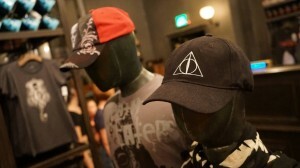 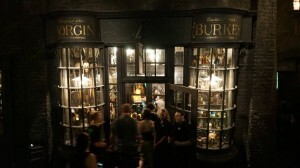 Knockturn Alley at Universal Studios Florida. 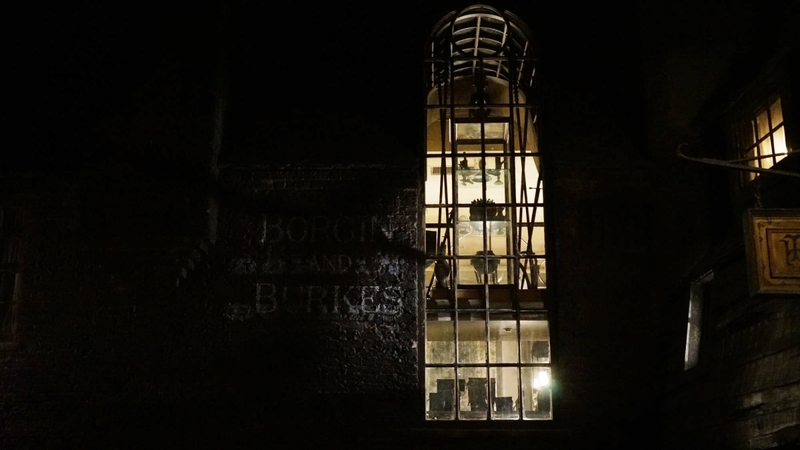 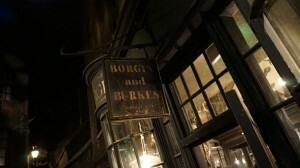 Second in design and dramatic flourishes only to Weasleys’ Wizard Wheezes, Borgin and Burkes is not only the anchor of Knockturn Alley, it is its singular store. 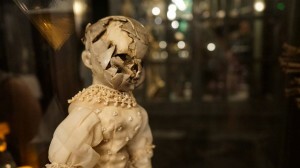 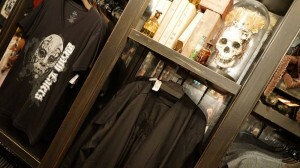 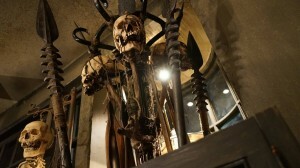 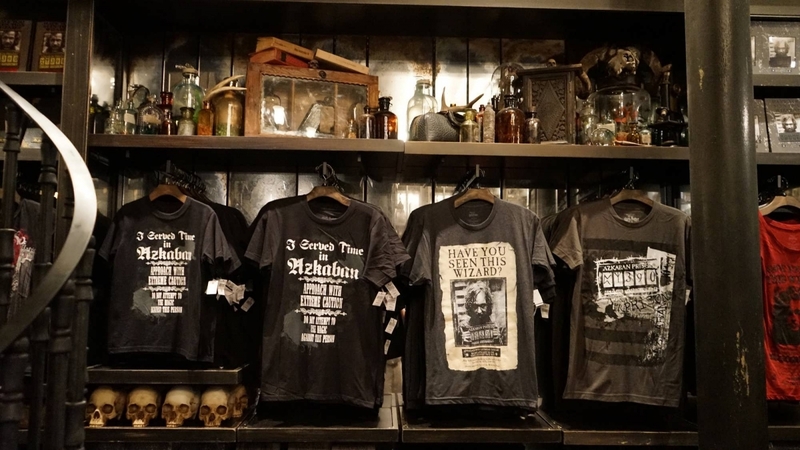 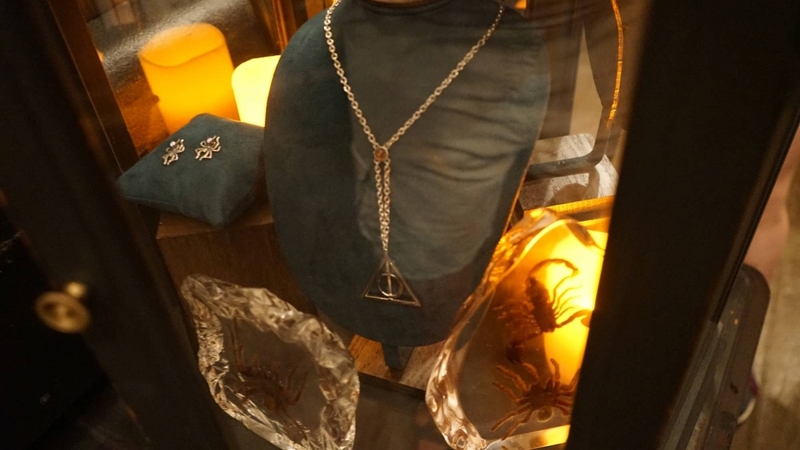 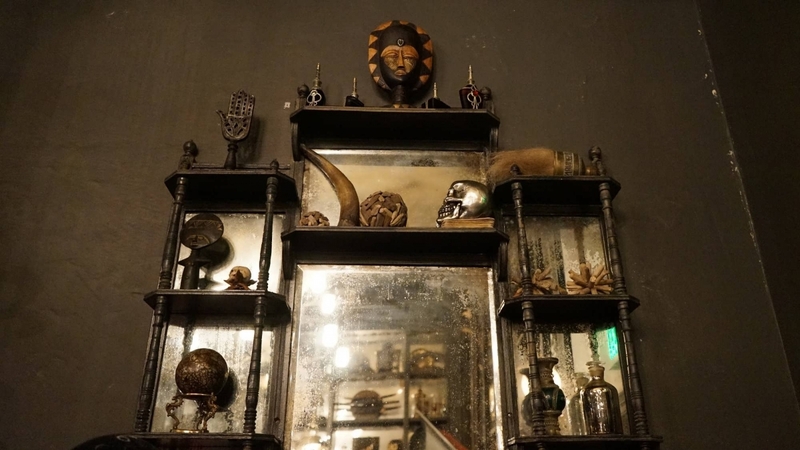 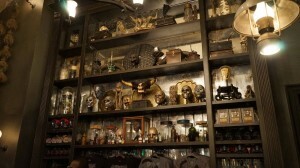 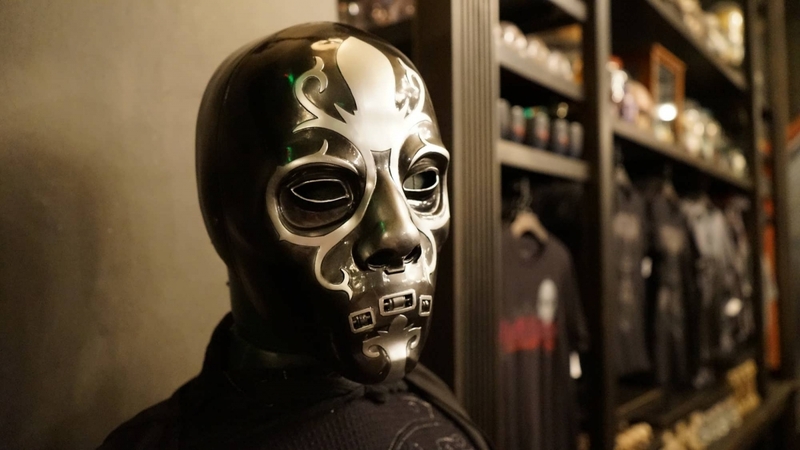 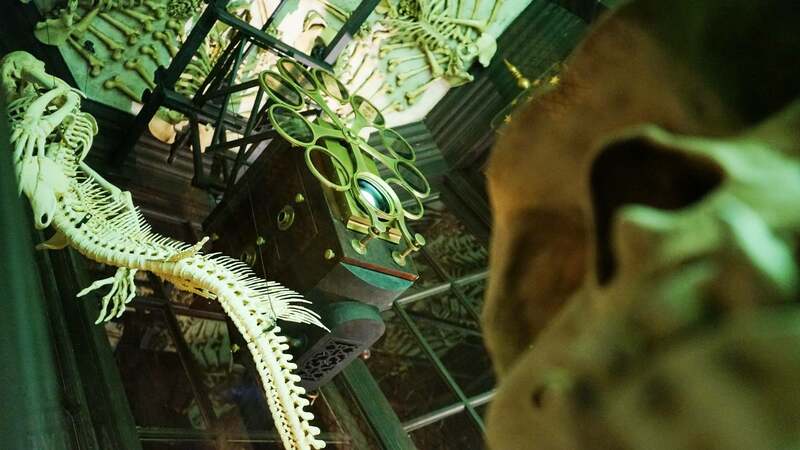 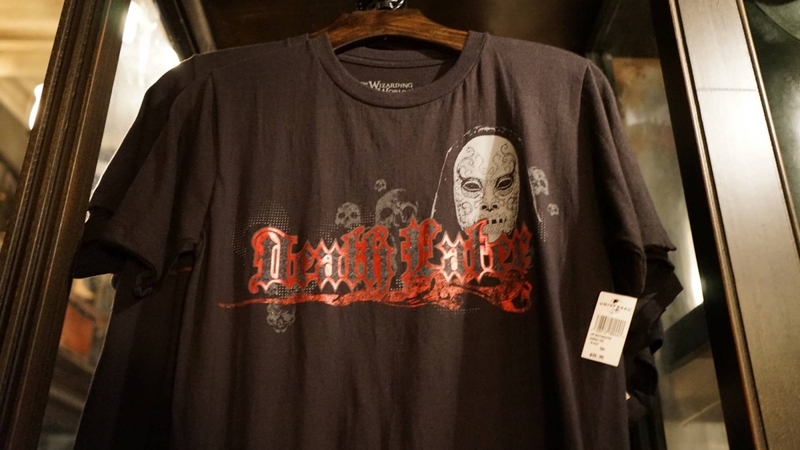 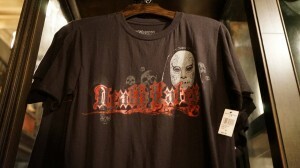 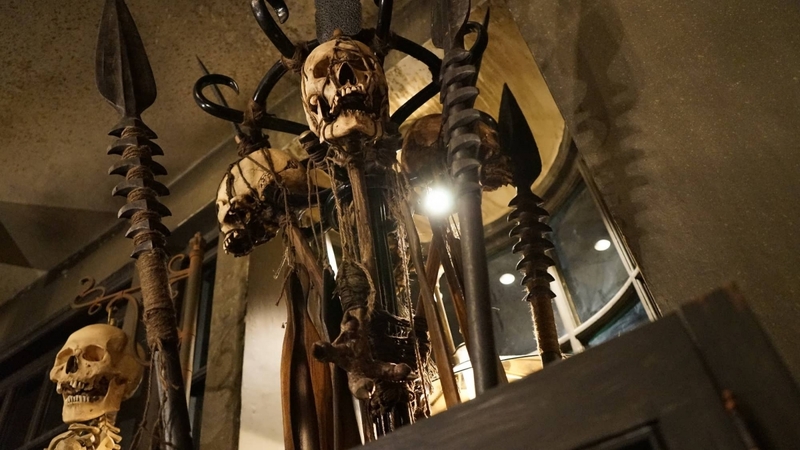 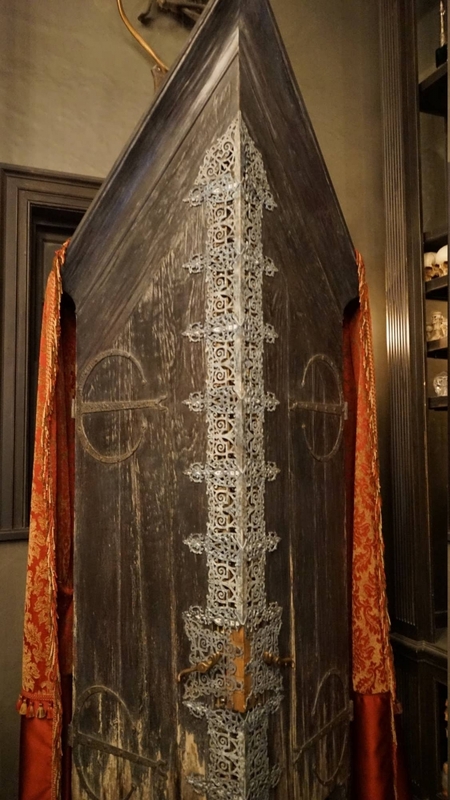 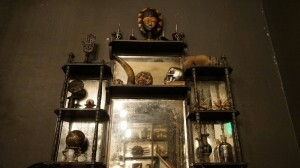 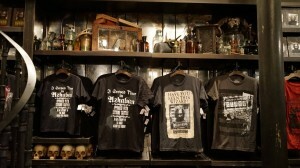 Here, guests can peruse fascinating and eclectic Dark Arts artifacts, including Death Eater masks, skulls, and other ghastly devices. 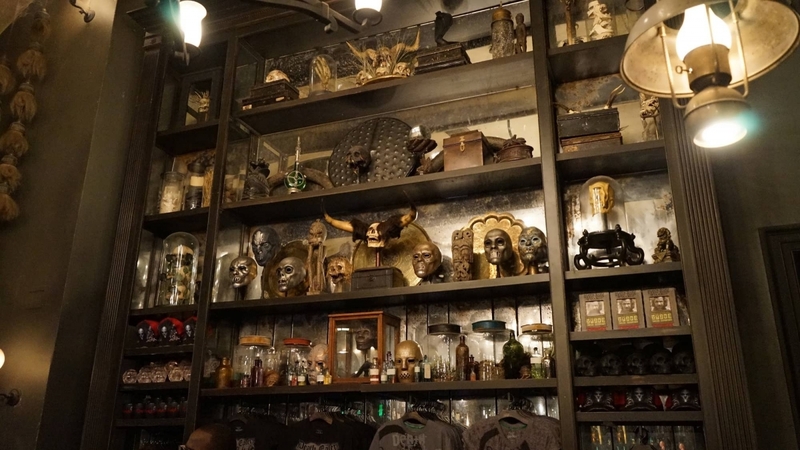 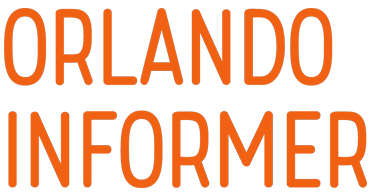 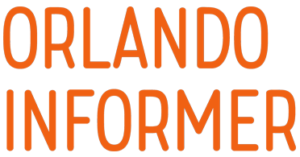 Be sure to give yourself plenty of time to thoroughly explore both the shop and its surrounding area, as it is immaculately themed, riddled with hidden touches, and, perhaps best of all, shielded from the unforgiving Florida sun. 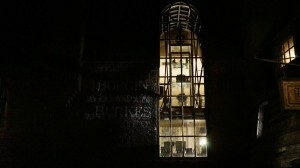 Just how dark it is! Combined with the effects of moving severed hands, dancing skeletons, and giant spiders, it just may be enough to creep out the youngsters in your party.